Hurray, It’s time to celebrate !! My blog reaches 1000+ likes and 500+ Email subscribers.. My hearty thanks to everyone for your support!! Anyone from this region definitely knows this recipe. This is a very authentic one made in Kongunadu region. I don’t remeber a weekend without this at home. If you have been to any gounder family for Sunday lunch you must have tasted this for sure. The main ingredient for preparing the gravy is friend onion with some whole spices and homemade curry masala. Typically this is made with small onions, since I dont get them in US, I use big red onions, the only drawback being it adds a little bit of sweet taste. Homemade Curry Masala is the key for the unique taste. I don’t recollect any masala brands having this ready made. If you don’t have it, I provided an alternate below. Chop onion given in both the sections. Clean chicken and cut into bite size pieces. Chop tomato and split open green chili. In a pan heat 1tsp oil. Add the onion, garlic and fry till translucent. Add cinnamon, cloves, fennel seeds and poppy seed. Add homemade chicken masala and fry for 2-3 min in low flame. Add the coconut at the end and allow it to cool down. Grind this to a fine paste and keep it ready. In a heavy bottom pan or pressure cooker heat the remaining oil, add mustard, when it splutters add split green chili, curry leaves and onion. Fry till it becomes transparent. Add tomato and turmeric. Fry this till tomato becomes soft. Add Chicken, salt and fry for 5-10 min until you smell the turmeric cooking in oil. At this stage chicken would turn pale. Add the ground paste and water – 3 cups. Taste it and add chicken masala and salt according to your taste. Mix well and cook it in medium for 20-30 min or until the chicken is cooked. If cooked in pressure cooker, allow it for 3-4 whistles. Here comes the more interesting and fun part of the recipe. We usually take out the cooked chicken from gravy and fry them separately. Chop onion given in the section “To Fry the Chicken”. Split open green chili. In a pan heat 1 tsp oil. Add mustard when it splutters add green chili, red chili curry leaves and onion. Fry till onion turns transparent. Try to filter only the cooked chicken in a spatula and keep it in a separate bowl. Add chicken masala, pepper powder and salt. Fry this for 5-10 min in slow flame. 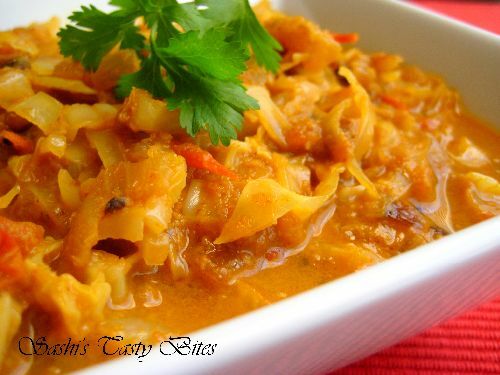 (*) Enjoy with white rice, idili/dosa. i have never tried much of non-veg dishes. though i cook variety of veg ones. tonight i tried this for my roomate. i was skeptical about getting the same taste as my mom. but thanks to you kongu naattu pugahz andhrakaran munnadi thappichuchu. Mam thank u for ur recipes.. Please post more kongu nadu recipes..
Should we add two full garlic or just two pods? Please clarify. This is the most authentic way. Chandralekha, I don’t have the recipe with me, I will post it soon. 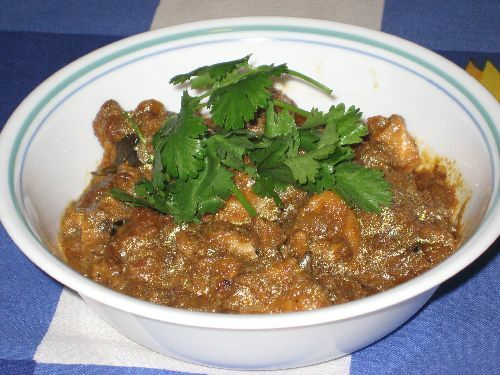 Please see the “Substitution for Home Made Chicken Masala:” if you dont have this. At what stage do I need to add pepper corns, red chillies and coriander seeds while frying the items for the ground masala? I usually add them in the beginning before adding onions. hii… can i get some more traditional non-vegetarian kongu nadu recipies…………………. 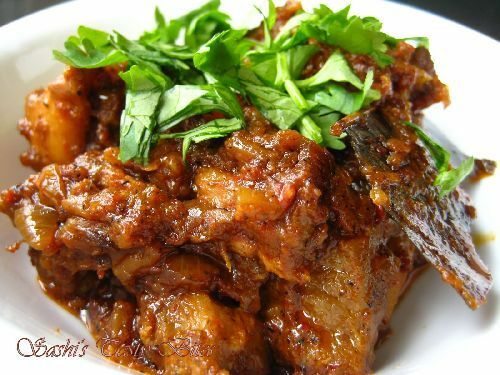 Jijin, sure will post them as I find time..
hi sashi…i’m eager to giv ur delicious recipe a try but plz cud u mk de recipe clear…plz clarify abt homemade chicken masala&curry masala…plz a bit confusing…plz do reply soon waiting to prepare for diz wkend.. 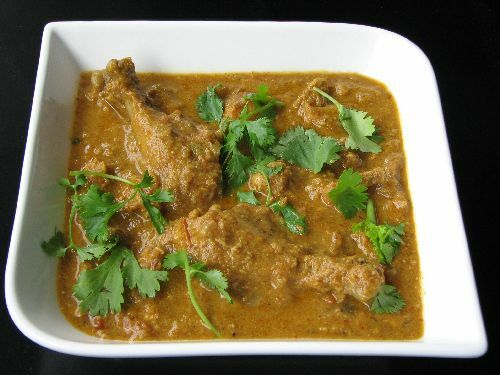 If you have “home made chicken/curry masala” use it or else use the items given in the section “SUBSTITUTION FOR HOME MADE CHICKEN MASALA”. Hope this clarifies ur doubt. I have a question about the last section “to fry the chicken”. Should we fry all the chicken pieces and add them back into gravy? Or shd we just fry a few and eat them separately (as an appetizer ) . Please clarify. Ram, no need to add it back to the gravy and yes fry all the chicken pieces. You can have it as a side with the gravy or separately mix with rice. 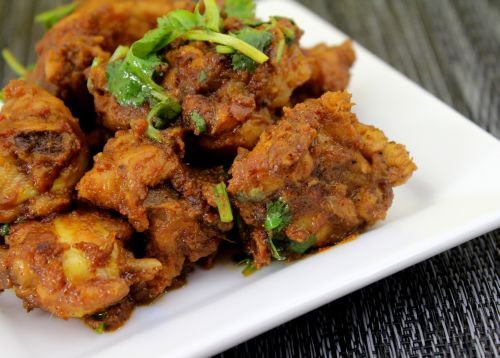 This receipe is really awesome.My family enjoyed it.But was wondering how this chicken curry was fantastic without adding ginger.Thanks for ur wonderful receipes.Keep posting. Usually we don’t add ginger garlic paste in Kongunadu but yet it tastes good. Glad you liked it!!! i recently discovered ur blog. 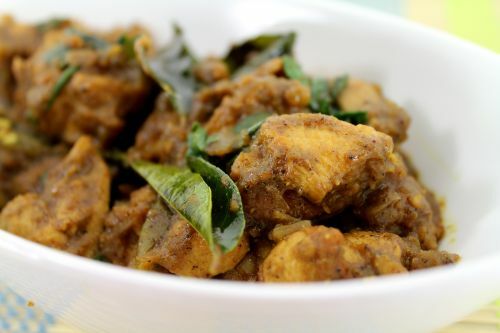 tried out this cheicken curry and it came out superb ur reciepe waas absolutely delicioius..
Hi Sashi, love your cooking…grew up in coimbatore …….now i need the ready made home masala you talk about in your recipes can you give me the ingredients how to make it at home plz……. By the way do you know lawerance richard and Mythili by any chance????? thanks so much once again for your recipes very thoughtful of you…. How did I miss your website this long? 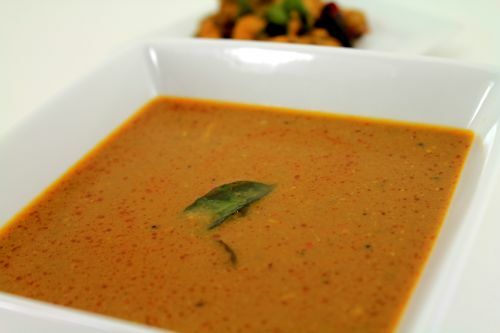 Iam from Kongunadu and it’s really really great to find a website with the kongunadu recipe’s. I have been searching for this particular kozhi kuzhambu and Iam glad I saw your website. I’am very excited to see your other recipe’s. Have lot’s to catch up. Keep up the good work and post lot more recipe’s. I’m remembered of our covai now…Almost, every sunday we used to have this kolambu. 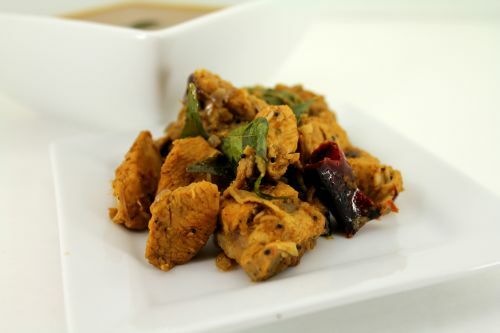 I visit ur site for our kongunadu style traditional recipes…Nice one Sashi. You can make this masala and keep: 2 parts of corriander seeds(cups, spoon or any measurement), 1 part of red chillies, 1/4 part of Jeera and pepper together (jeera should be little more than pepper), few curry leaves. fry all these items seperately and finely grind it. We use to make even veg curries with this masala, so like sambar powder we stock it at home for one whole year. Alternative: After frying onions, garlic and adding whole spices, add 2spoons of corriander powedr, 1 spoon of chilly powder, 1/4 spoon of jeera powder and few whole pepper, 1 string of curry leaves and fry for 5 to 10 seconds and then add coconut and grind. Thanks for posting the recipe Krithiga, I usually get them from home so I didn’t have it handy. That was a Copy Paste error, Thanks for pointing it out!! I updated the recipe. Ur dishes are too tasty. Am a great fan of ur recipes. I already tried 2,3 dishes and it came out very well. Can u pls tell me the secret of preparing Chicken Masala at home.? Thanks Subha. I didn’t make them, I brought it from India. I will post the recipe soon. Please check Kirthiga’s comment. all ur dishes r great to look and taste. Thanks Thulasi for kind words !! Congrats on the achievement…The gravy and fry both look tempting and scrumptious! Omg, seriously cant take my eyes from that super delicious gravy,can have it with anything.